Night Trap is so old, obscure and out of print that I had to order an Amazon copy just to make sure it was even real, and not some dream I had as a kid. It’s real enough, and a glorious helping of low budget supernatural tomfoolery at that, with two charismatic character actors headlining. 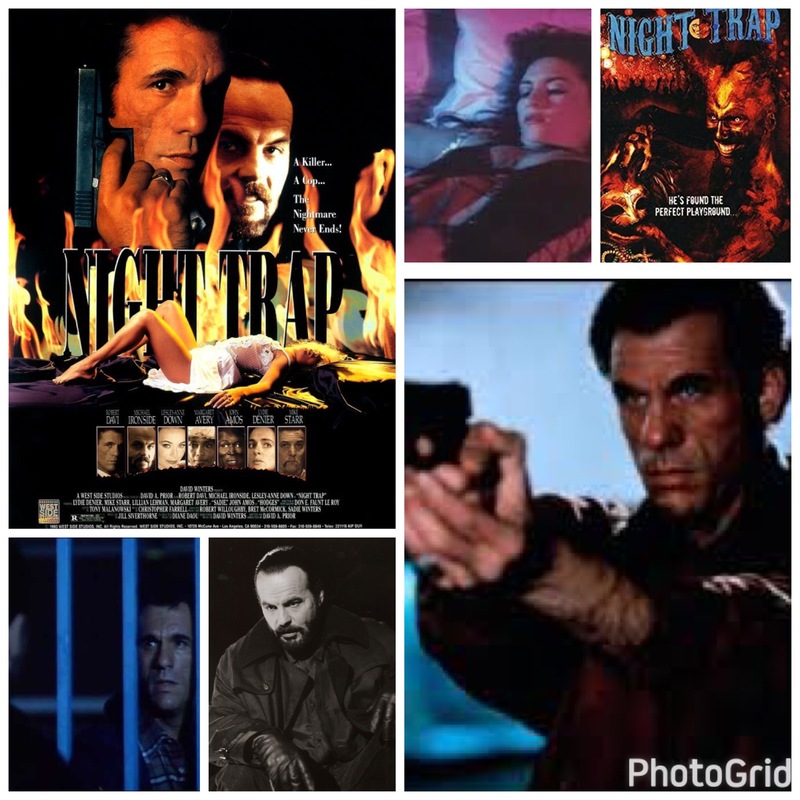 Robert Davi, in a rare lead role, plays a headstrong New Orleans cop who is hunting down a serial killer (Michael Ironside) that appears to have sold his soul to the devil in exchange for invincibility and a host of freaky deaky evil superpowers. Davi’s father was also a cop who pursued Ironside, and the monster likes to taunt both of them, leaving a trail of bodies in the hectic celebration of Mardi Gras. There’s a million of these type of movies, and they’re all across the board in terms of quality. It comes down to script and actors, really, as there’s never enough money to make any real visual magic. This one has a mile wide mean streak though, Ironside’s villain is a full on moustache twirling, nightmarish fiend and the veteran tough guy plays him as such. Matched against Davi, another notorious badass, it’s a B movie royal rumble that hits high notes of intensity, schlock and pulpy, violent delirium in all the right cues. Fun stuff if you’re a fan of these actors, and can actually locate a copy.